- Of the indoor pools in the area that don’t belong inside a hotel, there are 2 at the main high schools, 2 in our facilities, 1 at RHIT,and the one at the local YMCA, which you have to be a member to use. - Our pools are by membership only as well: you have to be part of the staff, student or faculty in order to use our pools, or as a guest,you would have to come in with one of our members. Some help with Terre Haute? Write down the GPS coordinates we have on our file for this Swimming Pool, so you can enter them into your GPS to assistance you locate the Pool easily. If you believe that any of the details is incorrect, please contact us. Support us be better day-by-day. Updated on 2019 In the basement of the Student Union Buildig , Terre Haute , IN , USA (Postal Code: 47809). This sports center offers indoors. For this Swimming Pool, only phone number is number here. 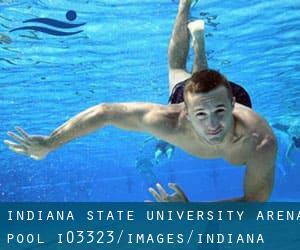 The details of this Swimming Pool has been verified recently by a member of their staff.